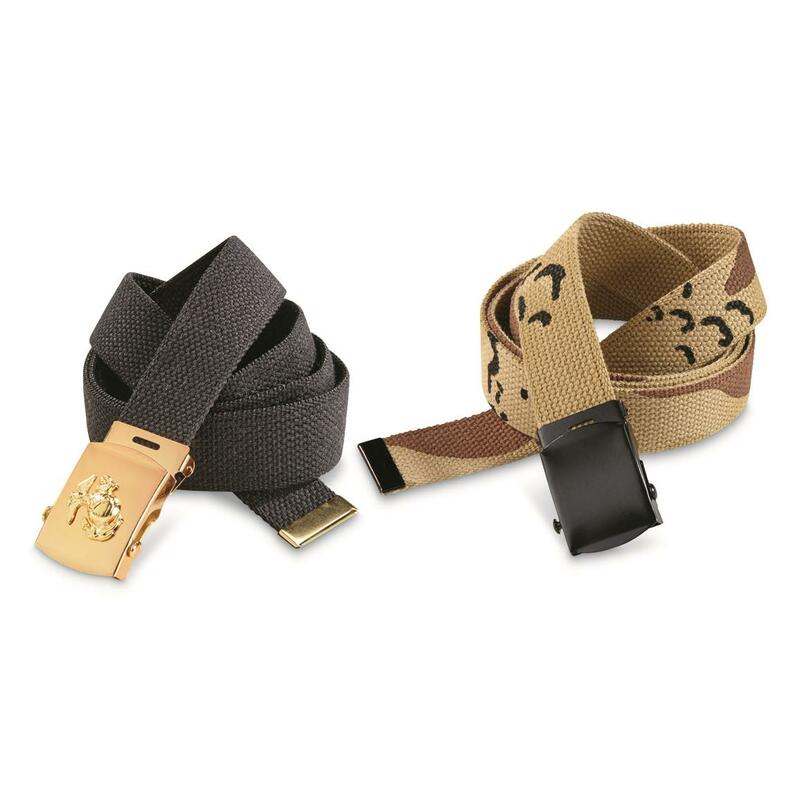 Mil-style Belts that hold up tough. Two USMC mil-style Belts, an "Oorah" close-out bargain here and now! Rugged 100% cotton construction, with metal buckle. Includes 1 Desert Camo Belt, 1 Black Belt.